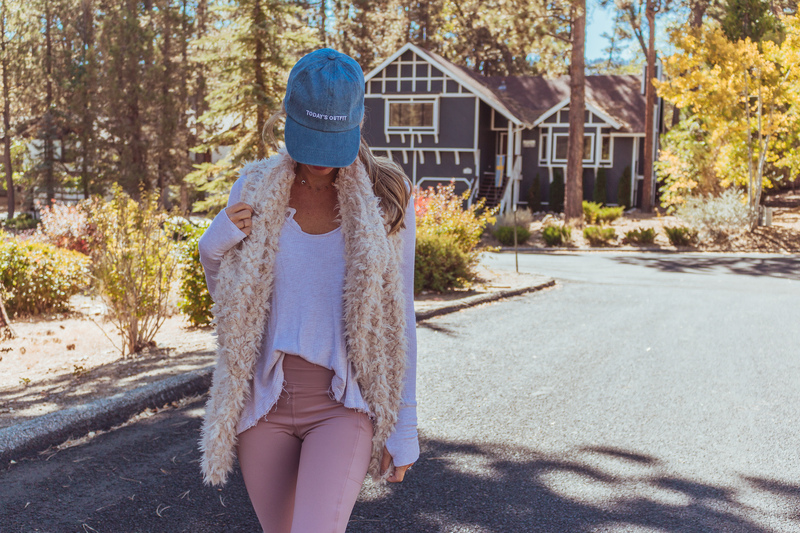 A cozy athleisure look today. 🙂 I’ve been looking for the perfect pair of high-waisted leggings for a while now. Over the weekend I popped into Forever 21 and found these. I honestly didn’t expect much, or even know how high-waisted they would be, but they ended up coming home with me anyway and they’re perfect! 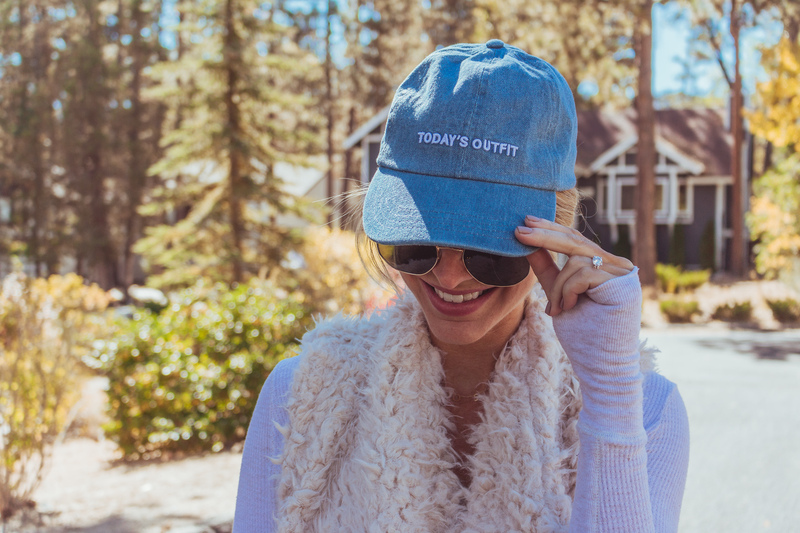 I wore this the other day for a cozy morning in Big Bear. The weather has been so nice, the little dose of fall we wanted. We’re heading home today – back to our normal 70 something degrees which I really can’t complain about either. I’m excited to get back home to our normal life and routine. I’ve had this thermal for a few years now. It’s such a good staple and they seem to bring it back every year in different colors. I wore it so much when I was pregnant with Crosby and even picked it up in a few other colors. It continues to be one of my favorite and most comfortable tops for fall and winter that I keep coming back to year after year. The thumb holes in the sleeves were especially welcomed for this cold morning. I was also excited to finally wear these wool sneakers from All Birds. I got them a few months ago but it was summer and way too hot for wool. I’d heard how comfortable they are and how they mold to your feet so I was excited to break them in. They’re such a great sneaker option for the colder months. Hope you’re having a great week – thank you for reading and following!